With cash from the University of Utah, four student teams spent the summer focused on their startups. Here’s how they did. (Francisco Kjolseth | The Salt Lake Tribune) Student startup teams at the University of Utah's Lassonde Entrepreneur Institute were selected for an intense summer entrepreneurship program. Clockwise from left, Aaron Hsu and Kepler Sticka-Jones of Blerp, a platform for sharing soundbites; Darby McDonough with Coffee Pops, a gourmet line of coffee popsicles; Cory Heward with CloviTek, a Wi-Fi transmitter for streaming audio to personal devices; and Josh Webber with The Society, a discount membership card for nightlife hope to see success with their ideas. Vitaliy Mahidov faced a dilemma one day at the gym in 2014: Go lift weights after completing his run, or stay on the treadmill to finish watching his favorite TV show. It frustrated Mahidov that he could only hear the show if he remained tethered in place. And that’s when he had an idea. “What if there was a way to transmit the TV audio through my phone so I can listen anywhere I want without bothering anyone?” Mahidov thought. He created a company to develop a solution, and in June, it became one of four student startups that won money and mentoring from the University of Utah’s Lassonde Entrepreneur Institute for a summer of entrepreneurship. The four teams set goals and received of a slice of $18,000 from Rush to Revenue, a more intense summer version of the institute’s monthly Get Seeded grant program. Students who won past Get Seeded grants were invited to compete for the funding, sponsored by Zions Bank. 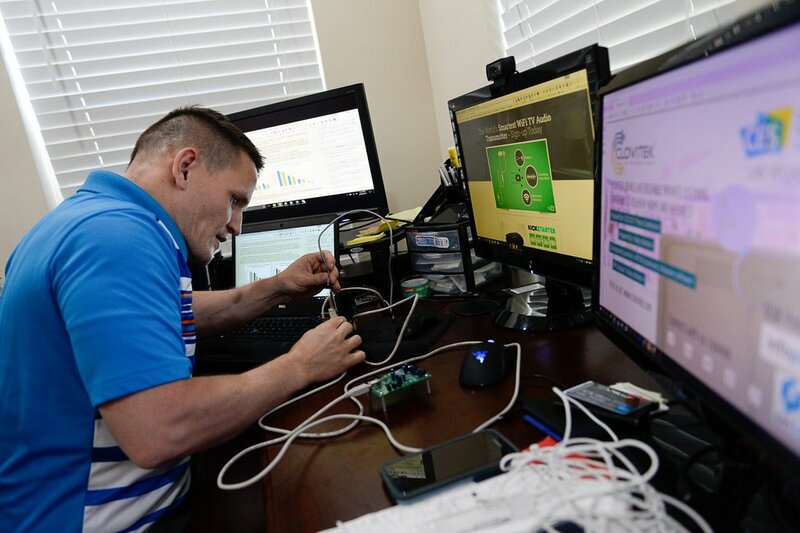 (Francisco Kjolseth | The Salt Lake Tribune) Nitaliy Mahidov works on his CloviTek invention, a wi-fi transmitter for streaming audio to personal devices. 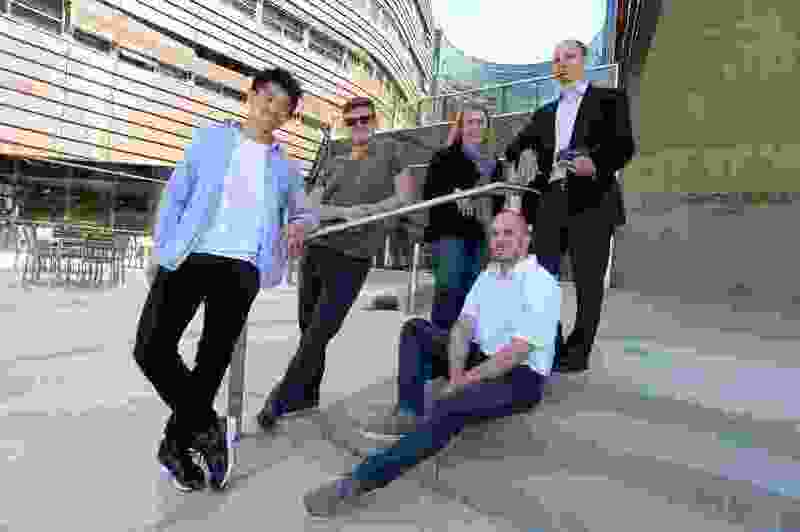 Mahidov's company is among four student startups at the University of Utah's Lassonde Entrepreneur Institute hoping to launch a successful product. Mahidov, a 37-year-old who graduated from the U. with an MBA in 2016, has spent the last three years developing a device, known as Clovifi, that would allow users to listen to music, TV or video games without bothering anyone nearby — both at home or in a public place, such as a hospital waiting room or gym. His partner, Cory Heward, graduated with an MBA in May. They didn’t quite hit the summer deadline to host a Kickstarter campaign, to both make money for the company, CloviTek, and introduce consumers to the product. But the campaign is scheduled to begin Sept. 12. He was able to develop a second prototype, however, which looks like a wireless router but is only about the size of two iPhone 7s stacked on top of each other. Users can plug it into a TV or computer, download an app on their phone and stream the audio through headphones. Two people can sit in the same room and listen to different things, or listen to the same thing at a different volume, Mahidov said. There are similar products available, he said, but they are bulkier and more expensive. Mahidov said he expects to sell his device for under $200. CloviTek also is marketing the device for home use and to those with hearing loss. He hopes the Kickstarter campaign will raise awareness of his solution. CloviTek’s pledge goal is $25,000. Individuals who pledge money will receive devices at a discounted price. Mahidov said he expects to begin manufacturing and selling the devices in December. (Francisco Kjolseth | The Salt Lake Tribune) Darby McDonough hopes to develop her Coffee Pops, a gourmet line of coffee popsicles, into a successful product. Student startup teams at the University of Utah are engaged in an intense program. The teams are participating in the Get Seeded Rush to Revenue program provided by the top-ranked Lassonde Entrepreneur Institute, an interdisciplinary division of the David Eccles School of Business that supports aspiring entrepreneurs. But in coffee shops, she noticed a certain product — a java lover’s dream, if you will — missing from the menu: the coffee popsicle. 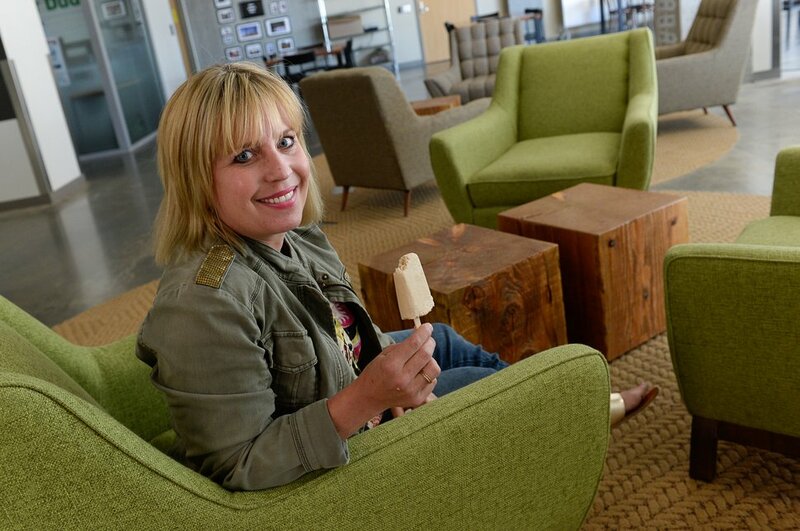 McDonough, 46, launched Coffee Pops, a company that makes popsicles that taste exactly like popular coffee drinks, such as lattes and mochas. At the beginning of the summer, she wanted to sell her popsicles at carts around the city, especially at farmer’s markets. But about four weeks into the challenge, she decided to shift her focus to bigger events. She spent the first half of the summer perfecting the recipe, making popsicles by hand first in her home and then the back room of the London Market on on 900 South. The process is a time intensive one, taking four to six hours for each batch. She made about 1,000 popsicles throughout the summer, selling them in the London Market and at Fourth of July and Pioneer Day festivals. McDonough sold 400 at $3 each. “We sold less than our goals,” she said, “but we still sold pops. I keep telling people it would have taken me a year to get to this point without Lassonde” because of the program‘s guidance and support. McDonough wanted to sell the popsicles in coffee shops as well, but found that most do not have freezers. Moving forward, she hopes to sell the popsicles in retail stores throughout the winter. She also wants to develop other flavors, like chai tea lattes with espresso, and provide nondairy options. (Francisco Kjolseth | The Salt Lake Tribune) Eva Mauri, left, and Whitney Darger join friends at Twist in downtown Salt Lake City to take advantage of their membership in "The Society," a club that offers a discount card. The club and its card were created by Josh Webber, a new University of Utah graduate participating in the Get Seeded Rush to Revenue program at the Lassonde Entrepreneur Institute. Josh Webber established The Society last year to help people who are new to town discover where to go for a good time. He talked nearly 20 restaurants, bars, nightclubs and music venues into offering perks to Society members in Salt Lake City, Park City and Ogden. But he, website developer Mike Misbach and sales leader Justin Searle became convinced over time that the true draw was the chance to treated like a local. In Salt Lake City, club members get a free fresh-pressed juice from Bambara Restaurant on weekend mornings or a blue cheese appetizer in the evening. Kilby Court and Urban Lounge offer two-for-one admissions for live music. Brewvies Cinema Pub offers a free small popcorn to members catching a show. Half of Piper Down pub has been rented for a Society gathering in late September. The company hit its summer goal, and now has seven participating businesses each in Boise and Reno. Webber also realized people were willing to pay more than the original $35 for the good-for-a-lifetime card. At $80, “sales are remaining the same,” he said. He plans to expand next into Phoenix and Tucson, cities with big populations of college students who can help spread the word. 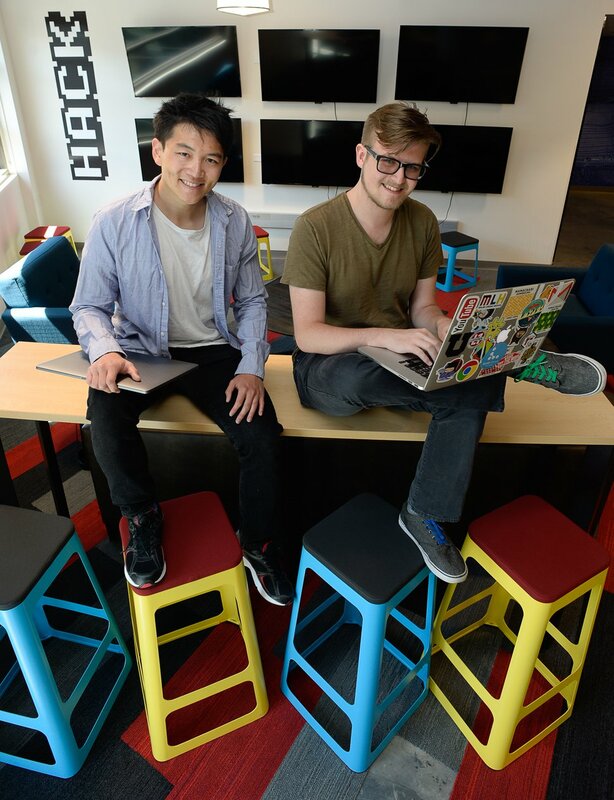 (Francisco Kjolseth | The Salt Lake Tribune) Aaron Hsu, left, and Kepler Sticka-Jones hope to launch Blurp, a platform for sharing soundbites, into a successful business. The two make up some of the startup teams at the University of Utah's Lassonde Entrepreneur Institute's Summer program. Kepler Sticka-Jones and Aaron Hsu have developed a search-engine app called Blerp that finds soundbites from favorite movies or TV shows and attaches them to outgoing text messages and emails. “We see a lot of jokes [being sent], just an extra thing to send during a text message,” said undergraduate Sticka-Jones, 19. One example: He’d like to find “You’ll shoot your eye out,” a line from the movie classic “Christmas Story,” to attach to a text to his sister. Hsu, 22 and in charge of marketing, graduated from the U.’s computer science program this spring. He and Sticka-Jones, who developed the app for phones and computers, rolled Blerp out this summer and aimed for 50,000 users. Sticka-Jones said the release of iOS and Android apps went better than expected. “We were really surprised by the uptick in use,” he said, adding that the later inclusion of iMessage in the app package also generated traffic. Hsu and Sticka-Jones identified students from middle school to college age as the app’s prime demographic target, but found it difficult to get their attention. The Lassonde Institute helped connect them with campus housing so they could go to dorms and the student union to promote the apps by word of mouth. Sticka-Jones said the institute also introduced them to lawyers and engineers, who “made sure we were on good [legal] footing” and helped with validation testing on the apps.